Price Paid: I can't remember, but the retail price at the time I bought it. 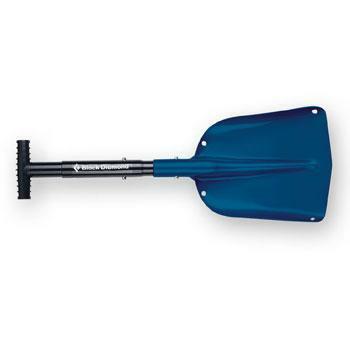 This is a very good stout snow shovel design that would be great in the backcountry for digging a snow cave or pit, or helping dig a buddy out after an avalanche. Good size in that it's not too big or too small, but just right. 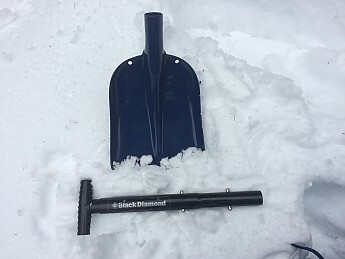 I have had this Black Diamond Tele Lynx backcountry shovel for at least ten years and have found it to be a solid design that has never let me down. A shovel is not a piece of gear that most people get too excited about, but if you go into the backcountry where you need to be carrying a shovel it is one of the most important pieces of gear in your pack. 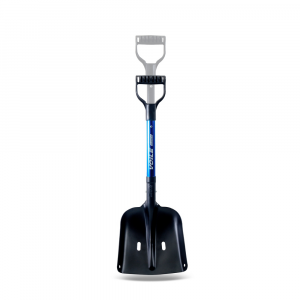 The Black Diamond Tele Lynx shovel is manufactured from a strong aluminum alloy and weighs 1 pound 11 ounces and has a two position handle that can be adjusted so that the the overall length can be either 25 1/2 inches or 32 inches. 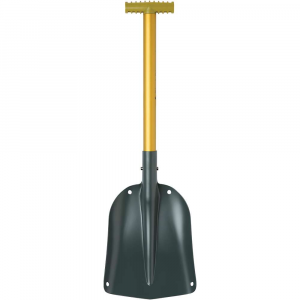 The face of the shovel itself is 8 3/4 inches wide and 11 inches long and has an overall length of 13 1/2 inches when separated from the handle section. 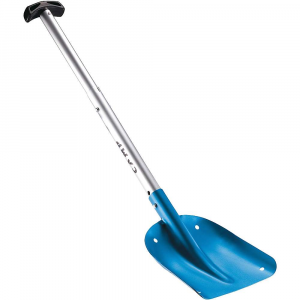 The handle section when separated from the shovel and collapsed to its shortest length, is 16 inches long. The end of the handle section has a plastic "T" handle with deep grooves that is easy to grip with gloves or mittens. Here are two pictures of the complete shovel at its shortest and longest configurations. 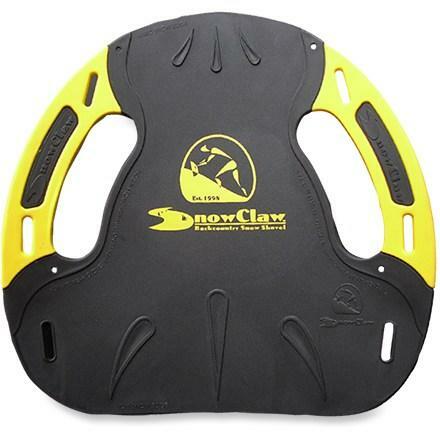 The adjustment of the handle length or the assembly of the handle to the shovel is accomplished by pressing two rounded spring loaded pins and this can be easily done wearing gloves or mittens. Here is a picture of the two pieces of the shovel disassembled like you would have when you would store these in your pack. 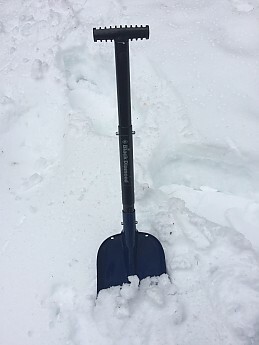 The adjustable handle is a very important feature as the shorter configuration is nice for tight conditions like digging a snow cave and the longer handle configuration is needed for when you really want to move a lot of snow like you would have if you were on a shovel crew trying to dig someone out after an avalanche. The two different handle lengths of the Black Diamond Tele Lynx design seem just right from my experience using the shovel. Probably the most outstanding feature of the Black Diamond Tele Lynx design is that it really is a stout design. 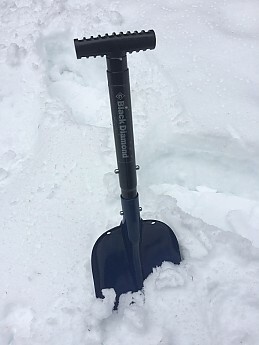 Up here in the Western Washington Cascades the snow can be heavy, wet, and have a number of crusty/icy layers and you really need a solid shovel that can take any force you apply to it without having to worry about breaking it. 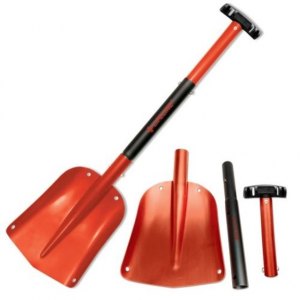 With the Black Diamond Tele Lynx I have never had an issue or concern when using the shovel and have always had confidence that the shovel will perform when needed. 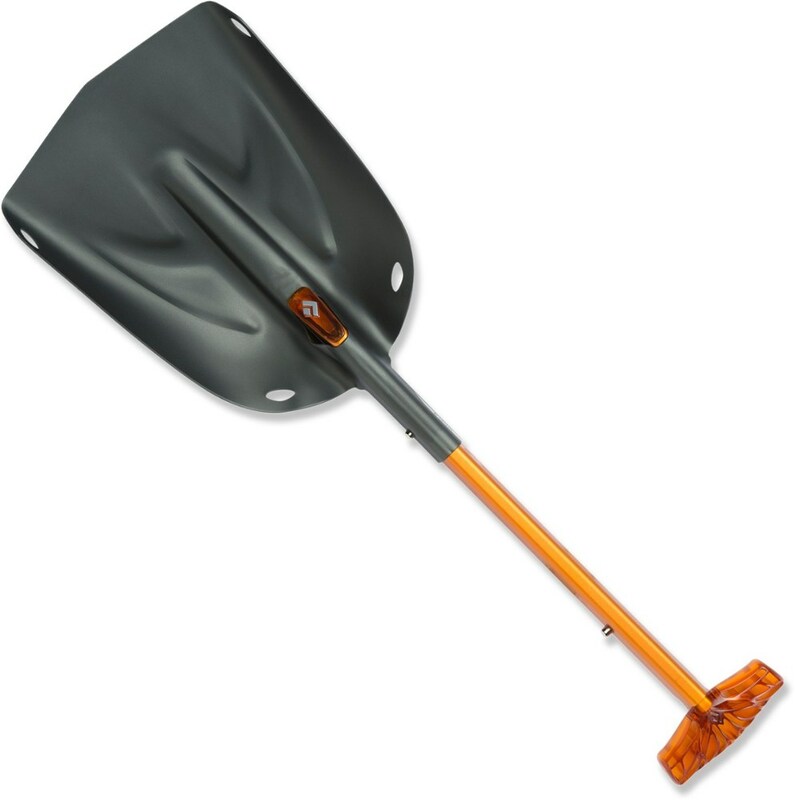 I wouldn't hesitate in recommending this shovel to anyone looking for a solid shovel design to take into the backcountry. Thanks for the review, Mike! The Tele Lynx has been discontinued. The Black Diamond Tele Lynx is not available from the stores we monitor. It was last seen November 26, 2007	at Backcountry.com.